Have you ever seen …that cool stuff that “pimps” search results on Google? This plugin helps you to generate this search results by using structured microdata. According to the schema.org website search engines including Bing, Google, Yahoo! and Yandex rely on this markup to improve the display of search results, making it easier for people to find the right web pages. This plugin automatically pre-installs seven shortcodes that are ready-to-use. But it‘s also possible to create new shortcodes with your own microdata markup that you need for future purposes. This can be done very easy with the built-in Shortcode-Generator. 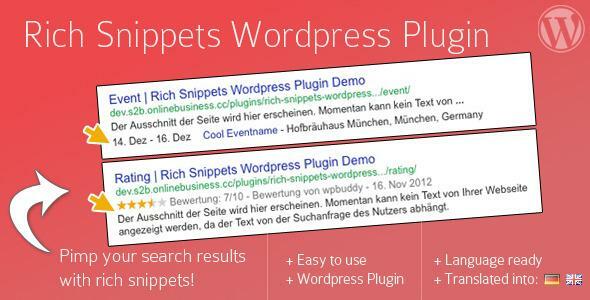 Share the post "Rich Snippets"